Editor’s Break 096 has Skyler giving his commentary on the following topics: what he thinks the #BelieveWomen hashtag means; whether we should reduce the tax burden of the poorest 50% of society; the foolishness in taking your child’s “misbehavior” personally; and more. 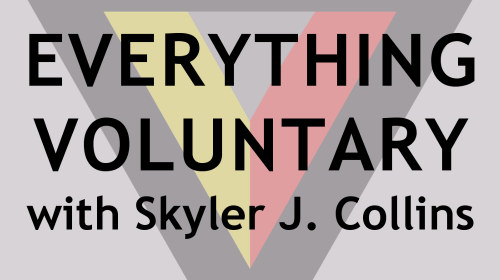 January 2019: I read this essay and added commentary for Episode 274 of the Everything Voluntary podcast. Discovering voluntaryism usually happens after a long road through other intermediate political philosophies. It’s not an ideology on the forefront of political thought, that’s for certain. Step by step a person has reached conclusions that aggression and coercion are bad in various ways and circumstances. At last they’ve decided that aggression and coercion should always be avoided, but just as importantly, they’ve come to the realization that aggression and coercion are not only common place in many different types of relationships, but in some, they are foundational. Once a person adopts the label of voluntaryist (or the like) for their political identity, they assume, with good reason, the following premise: human suffering is terrible and should be prevented; aggression and coercion necessarily create human suffering. This premise leads the voluntaryist to hold a number of hypotheses with varying degrees of accuracy in some form or fashion within their minds at all times. Here are several of those hypotheses (in italics and prefaced). Political aggression occurs when the production of law and order is coercively monopolized by a single person or single group of people (an institution, corporation, or firm in a given area which adopts the moniker of “government”). Monopoly incentivizes bad behavior and disincentivizes good behavior, leading ultimately to human suffering. Economic aggression occurs when markets, the array of economic exchanges between people, are coercively interfered with by “government”. Political interference (or intervention) in markets skews or disables economic signals (prices, supply and demand), to the benefit of one group at one time, and the detriment of other groups at the same time or other times, leading ultimately to human suffering. Parental aggression occurs when parents use the tools of coercion (punishments like spanking and time-outs) to correct what they identify as “misbehavior” on the part of their children. Punishment used to discipline is both a failure to understand a child’s real needs and produces trauma in childhood, leading ultimately to human suffering. Educational aggression occurs when parents and teachers use the tools of coercion (punishments, rewards, curriculum) in the attempt to impart knowledge and skills onto children that they, the parents and teachers, deem necessary and important toward becoming an adult in society. Coercion based learning ignores the interests and passions of students and their evolutionarily programmed needs to inquire, be curious, to move constantly, be loud, and to play, leading ultimately to human suffering. Not every hypothesis described above undergirds the premise that each person who has adopted the label of voluntaryist holds as true. Many voluntaryists haven’t even considered the effects of coercion in parenting and education, for example. But the premise as laid out above is typically held by those who identify as a voluntaryist. The voluntary principle, the foundation of voluntaryism, states that “all human relations should happen voluntarily, or not at all.” It’s easier to understand the “should” in that sentence once you understand the voluntaryist premise. You may not value or desire the reduction and prevention of human suffering, in which case you are unlikely to identify as a voluntaryist. However if you do, then I recommend taking a hard look at the premises you accept as true, and how realistic are the hypotheses thereon based that you rely on for the attainment of this desire. Editor’s Break 086 has Skyler giving his commentary on the following topics: why he shouldn’t have to apologize for the misbehavior of other white people today or in the past; how technology is necessary to make the state obsolete and bring about a free society; “gun free zones” are really “self-defense prohibited zones” and why the school shooting narratives are all wrong; and more. Editor’s Break 073 has Skyler giving his commentary on the following topics: what good parenting is; why it’s important to mind your own business and how to balance that with community vigilance; how to deal with misbehavior, such as a toddler spitting on your face; the courage in sticking with your principles, especially when it means standing alone; whether or not we should be concerned with Russian propaganda and election meddling; and more. Another holiday season is upon us and if you’re anything like me, you’re equal parts soaking up the things that make this time of year so special (like wood burning fires, carols, and smells of citrus and cinnamon), and loathing all that makes it gloomy (like familial expectations or lack of connection with loved ones). I know that as a culture we have fallen blindly into some traditions that are pretty saturated throughout society, especially when it comes to our children. Like many things that parents do, we continue on with the ways as it was done to us. Often without thought, but that is why I am writing this (because yay for self-inquiry). My main point in this article is to remind everyone that the purpose of this year is supposed to be about love, giving, joy, appreciation, etc. Many times we get stressed or start acting in ways that run counter these intentions (like when my mom gets stressed out that the Christmas tree isn’t up yet). It is easy to want to appear a certain way to others, or manipulate, or use the goodness this time of year offers as a way to assert control. If you find that something you are doing around the holidays doesn’t bring out the love/joy that it is meant to, then it’s important to look at why you are doing it in the first place. Some of the biggest strikes against the goodness of the holidays are carried out on our kids. Between Santa, Elf on the Shelf, treats, parties, and gifts we finally have all this ammo to leverage their behavior. But is that really how you want to spend your holiday? Are threats and bribery and manipulation really what the holiday (or any day!) should be about? 1. Gifts are not bribing tools. A gift is defined as something that is given freely and unconditionally without expectation of anything in return. If you want to give your children gifts, then do so from a place of unconditional love. If you are only giving gifts so long as your children behave in ‘XYZ’ manner, then that isn’t a gift at all. It is a tool used to bribe, threaten and manipulate their behavior. If your husband or wife didn’t take out the trash, would you punish them and take away their gift? Do we make memes about how to punish spouses or friends by taking away gifts? If your child is acting unfavorably, taking away gifts, or throwing them in the fire (as I have seen some memes explain) will only make your children afraid to come to you in times of need or be dishonest and sneaky with their behavior. It will make them untrusting with gift exchange and see gift giving as a conditional that we do to reward people or only when we want something from them. Not to mention, it is cruel to inflict an entire holiday and tradition upon children and then take it away when you don’t like how they are acting because society’s expectations tend to be too high for children. The holidays aren’t meant to be stressful (but somehow have almost become synonymous with that), it is a time for peace and goodwill. Your children can learn that by it being modeled to them. This way of thinking is part of the “I love you if…” mentality. It is a display of conditional love. And yes, as we are adults it is important to use discernment in who we share our love and energy with, but these are our children and our love should always be unconditional. If you are using gifts in power-play struggles, then rethink your motive and ask yourself what *you* need to feel more connected to the holiday spirit. They are gifts, not rewards. 2. Controlling your kids isn’t your job as a parent. I just read this great article on how controlling our kids isn’t our job as parents (but so many people seem to think it is!). I mean, isn’t that good news? We can all let out a big sigh of relief! I know I do when I am trying to control my child and then remember that it isn’t my job. but not as a way to manipulate and control the behavior of your children by lying to them. I know it’s hard to believe that children can be inspired to goodness without things like God, the government, elves or Santa watching their every move, but they can. People (and children are people) want to be good. No one is just born wanting to cause grief and annoyance for anyone. This is teaching our kids that you only have to be good when someone is watching, and that it is ok to tolerate authoritarian surveillance (can you say creepy?). It doesn’t inspire self-motivated and genuine acts of kindness and virtue. It has it be that now your children have to be secretive and manipulative (Like you. It is a learned behavior.) as to not upset that elf sitting on that shelf who then reports back to Santa. It doesn’t help behavior, it simply shifts where and when and how it is directed. 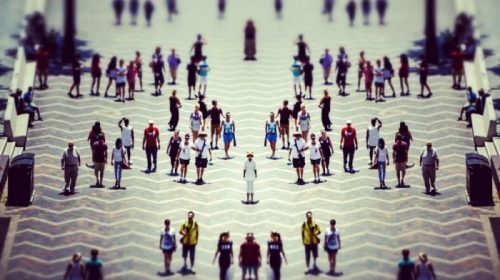 What does shift behavior in all humans is connection and an authentic feeling of belongingness and inclusion in their tribe or family unit. If you find that you are having to lie to, again, manipulate and control behavior, then I ask, is there a better way? We understand that lying isn’t good to do to our spouses and our friends, so why is it so widely accepted to do it to our children? Again, it is about control and placating reactions. I personally notice myself starting to tell lies to my son in an attempt to manage his reaction. Then I have to tell myself that this only creates more trouble for the both of us in the future when/if he finds out I was not telling the truth (like when I say there is no more cake left and he sees it in the refrigerator later on). That is when I take a deep breath and tell the truth, full and ready for his big feelings. “I actually don’t feel like driving all the way to the dinosaur park today. Yes, they are open, but I don’t want to make the commute.” This is hard because he *knows* that we could go, but I really don’t want to drive all that way. This is good because even though this is hard to hear, we are connected because he knows what is true for me and I know what is true for him in that moment. Therefore, I have maintained a sense of trust between us. He can trust that I will always tell him the truth, which let’s him know that I trust that he can handle the truth. It is actually a really kind thing to do (I originally learned to do this with significant others, but it totally works with kids, too). I value my connection with my son and undermining his intelligence doesn’t sit well with me. For this reason, I personally choose not to lie about Santa or Elf on the Shelf, which I outline more extensively in this article. I know some argue that it promotes imagination, but I argue it does the opposite since the story is already made up for them and takes away the opportunity to imagine for themselves. I digress. My point isn’t to tell you to stop telling your children about Santa, but rather to examine the way you are telling the story and your motive why you might be framing it in a way that has them believe he is real and that their behavior dictates his. 4. Your child doesn’t have to sit on Santa’s lap. If your child is crying and terrified of the jolly man in red, then please, do not under any circumstances force them to just so you can get a picture. It isn’t cute and it isn’t funny. I know some people will balk at me and claim I can’t have a little fun and that I take things, too seriously. I am not worried about that. What I am more worried about is how so many parents are numb to the terror and resistance their child is feeling about sitting on a strange man’s lap. How easily it is for some people to ignore those real, legitimate feelings all for a picture. I understand that *we* know our child is safe, but what is important is that *they* know and feel safe, and if they are crying, then they don’t feel safe. If our goal as parents is to have our children know it is ok to say “no” to things that make them feel uncomfortable, and for them to know it is ok that they don’t have to touch people (or have people touch them) that they don’t want to, then we start here with Santa Claus and respect their wishes. Forcing close encounters like this against their will teaches them that they don’t have bodily autonomy and that their “no” doesn’t matter and people can override it. 5. Affection is only nice if it is consensual. This touches (no pun intended) on the same point as Santa Claus. It isn’t uncommon to see more relatives and loved ones during this time of year. 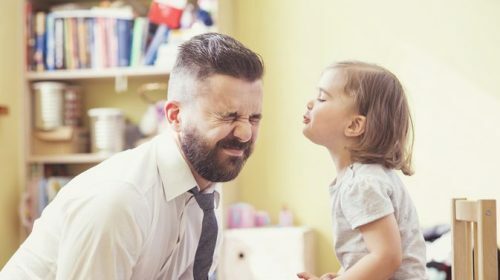 Some people are tempted to tell their kids to “give Uncle Timmy a hug,” or “come give your granny kisses,” but we should protect our children from such advances if they object or seem uncomfortable. I wouldn’t worry that it is unkind or disrespectful. It is never unkind to not do something when you feel uncomfortable doing it. What is unkind is forcing someone who doesn’t want to. 6. All kids are good. This is the time of year where our children will get asked if they have been naughty or nice this year. Don’t be surprised if the cashier in the checkout line asks your child if they have been good because Santa is coming soon. It is quite a weird thing if you ask me. No one asks adults these questions. The notion that children can be “bad” is skewed anyway. Children are not bad. What we view as bad is simply behavior that is reflecting an internal struggle that adults misinterpret as bad and take personally. No one wants to be bad and no one was born bad. If your holiday season is riddled with power struggles, threats, bribes, stress, and tears over holiday traditions that are supposed to bring joy and magic, then what are you doing it all for?